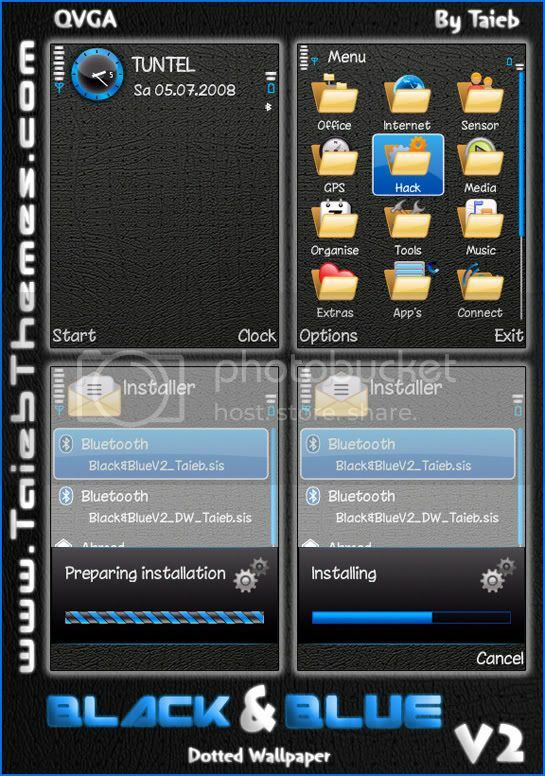 Theme master Taieb has created one of my favorite sets of themes for the Nokia E71 and S60 phones. Black & Blue dots brings you custom icons and a very clean look to your E71 smartphone. The screenshots above were taken with a portrait screen phone but I assure you it works great with the E71's screen orientation. Click here to download this free E71 theme. * If you want there is also a few other colors available at his site. Wow. You need to sit back and have a beer. There are plenty of places to ask questions here, a giant HELP button at the top of this page. I sure hope so because it's linked in the right sidebar. As for your TV prog, go into more detail. Autofocus On The E71 - Where Is It? E71 & Nokia Internet Radio - Where's It At? E71 And Themes: Do you Get The Certificate Error?